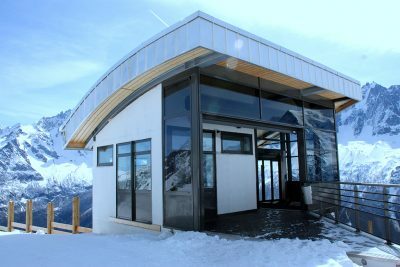 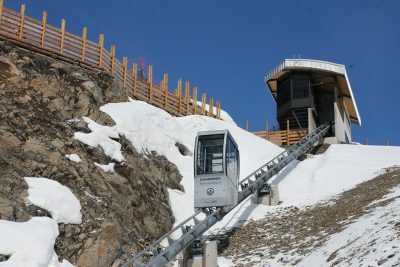 Construction of a funicular designed primarily for beginners, enabling them to reach the Planpraz plateau as well as the TK 2000. 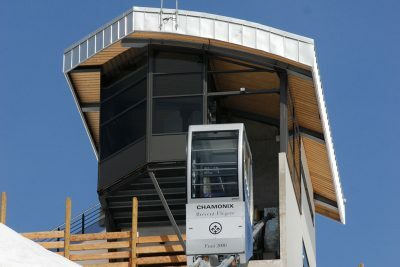 This device is a mechanical lift. It works by a moving cabin (gondola type) placed on a chassis itself running on rails or tubes. The “up-and-down” movements are powered by means of a cable which is wound or unwound from the top station.